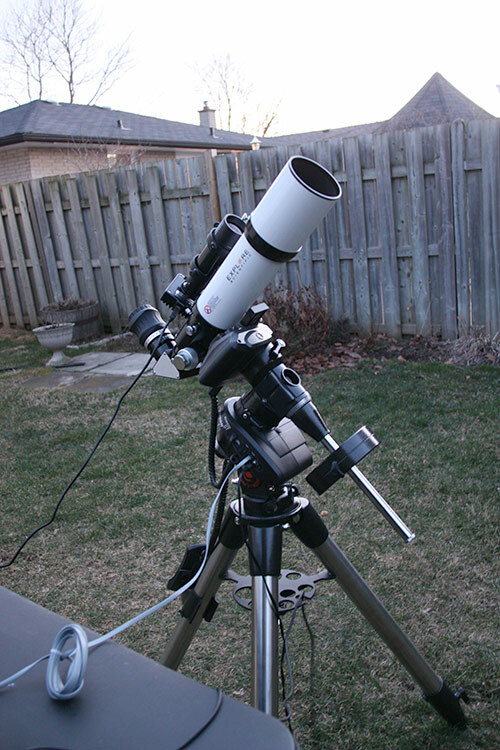 Beginner Telescope Reviews: What do you need for astrophotography? What do you actually need for deep sky astrophotography? Deep sky astrophotography is an enjoyable yet challenging hobby. It not only results in amazing images of space to share with others, but the process can be very rewarding in itself. The feeling of excitement that occurs when a color preview appears of a nebula on your camera display is like nothing else. This is the type of moment a night sky photographer remembers for the rest of his/her life. Beginners may run into a few road blocks that can hinder their progress. 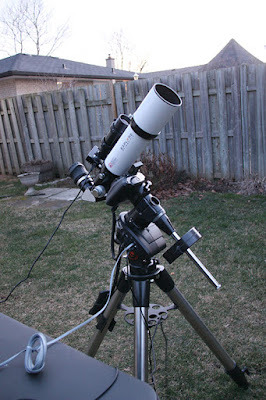 It can be daunting to look for just the right astrophotography telescope and camera when so many options exist. A great place to start is the tracking mount. You'll need a solid platform to carrying the telescope and photography gear through an imaging session. An equatorial mount that has been properly polar aligned will compensate for the Earth's rotation. This way, long exposure images of 1 minute or more will contain crisp stars with no trailing. The deep sky target of choice, whether that's a nebula, star cluster or even a galaxy - will start to appear once an adequate amount of light has been collected on the camera's sensor. 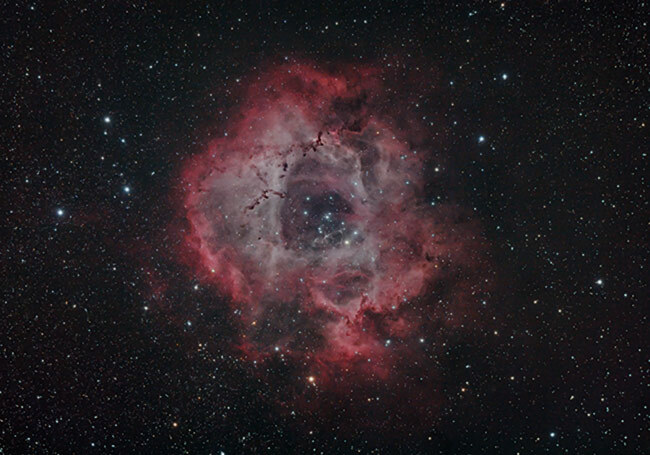 Astrophotographers then "stack" many images together to improve the signal to noise ratio. By combining many long exposure images, it is possible to create impressive astrophotos. The goal is to create images that are smooth, colorful and sharp. There are many software applications available for image processing an astrophotography image. Adobe Photoshop is a popular choice due to its wide use by photographers and familiar tools. No matter which road you decide to take, just take action. Don't get held up in the decision making process and continue to sit on the sidelines while others move forward. Make progress one step at a time, and learn the ropes along the way. If you are truly dedicated to capture your own breathtaking astrophotography images, you will overcome all obstacles along the way.